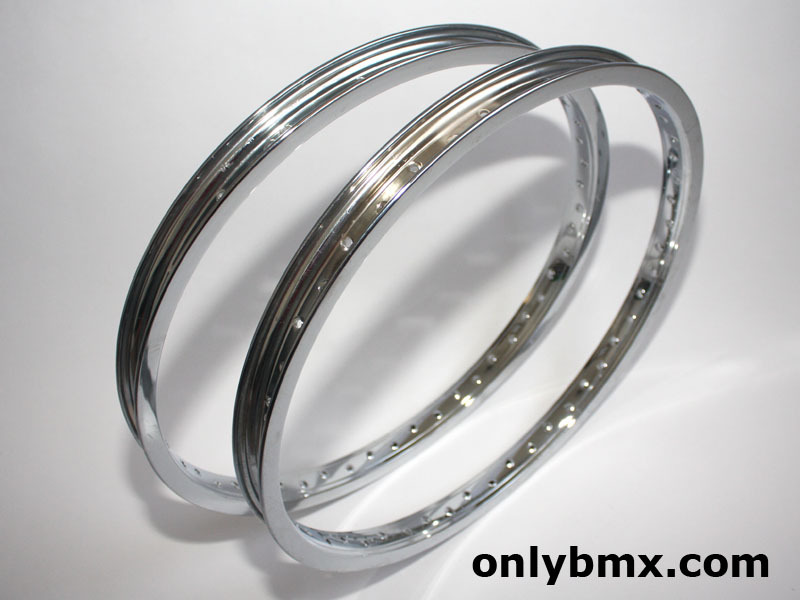 Pair of 20 x 1.75 chrome Araya 7X BMX rims. 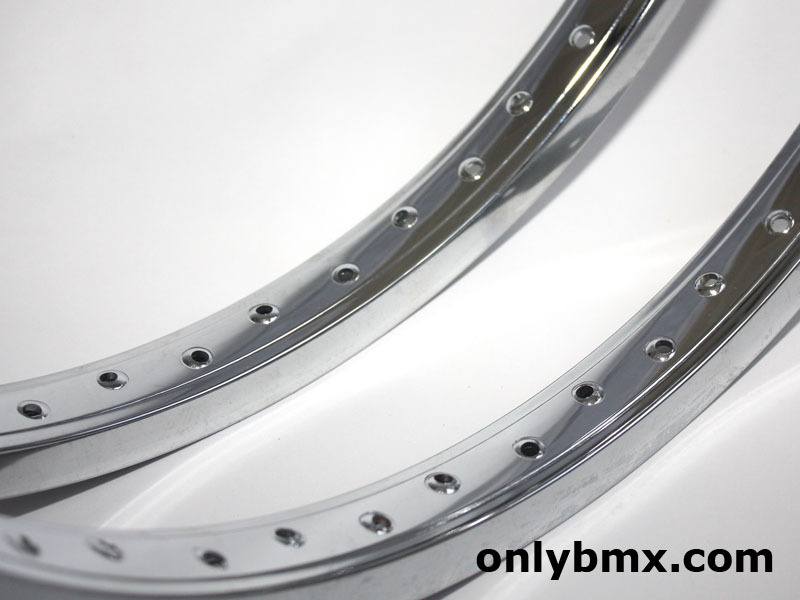 These are NOS 48 hole rims, suitable for any old school freestyle BMX bike. 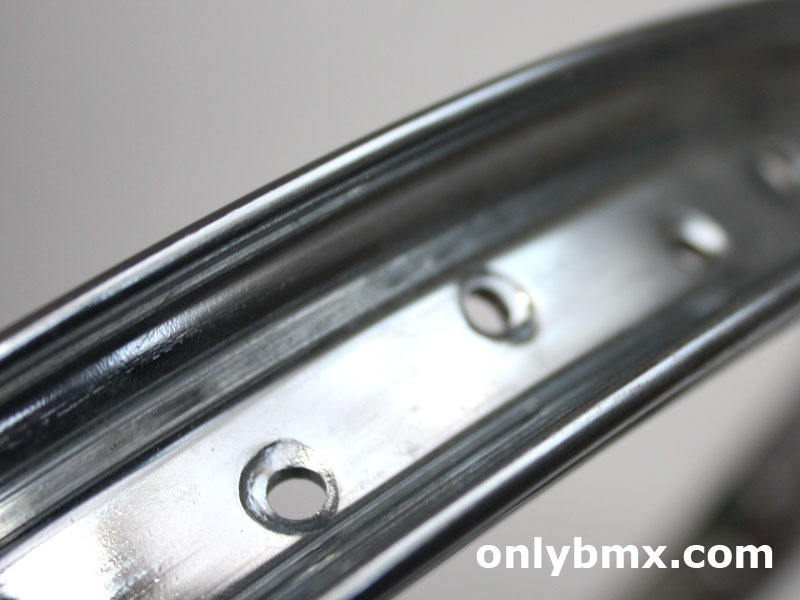 Chrome is still in great condition and no shop wear, as is the case with so many new old stock BMX parts. 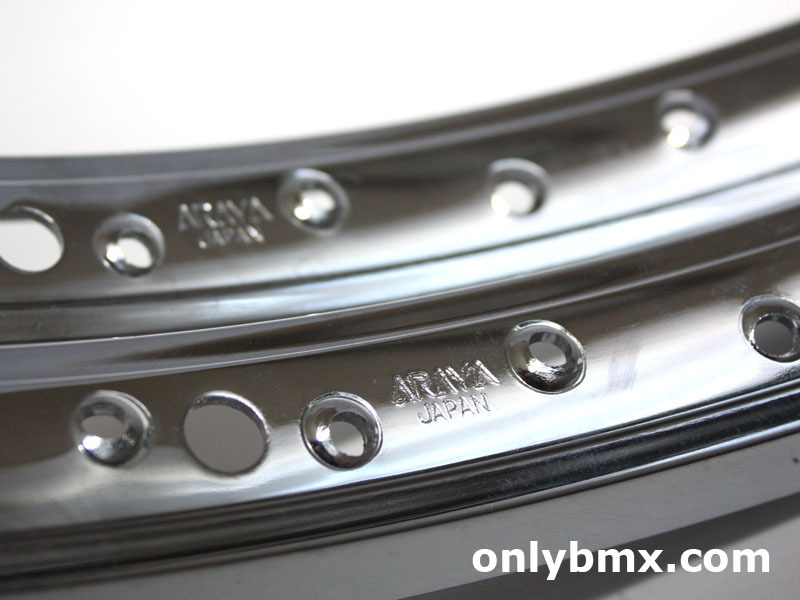 These are the original Araya 7X rims and not to be confused with the later Araya Super 7X rims that are more easily available.